Bollé Safety, a world leader in the design and manufacture of protective eyewear, simplifies the ordering of prescription safety glasses with their new and unique All Inclusive Prescription Pack. This new pack contains everything you need to order your prescription safety glasses, including a choice of 17 different frame styles, single vision or progressive Platinum double sided anti-scratch and anti-fog polycarbonate EN166F K&N lenses in any power, case, cord, optical fitting and dispensing. A truly easy and unique system. Bollé Safety are the only manufacturer to supply a double sided anti-scratch and anti-fog K and N coating to prescription lenses. Simply purchase a pack from your local Bollé Safety distributor, take it to your local optician, choose your frame, your optician will take all the necessary measurements and complete the prescription details and send the form to Bollé Safety. Bollé Safety will manufacture your new safety prescription glasses to EN166F K&N and return the completed spectacles to your optician who will contact you and arrange final fitting and checking. Bollé Safety has revolutionized eye protection with an innovation that exceeds the requirements of all international standards, especially EN166 K and N option. The new exclusive permanent double sided anti-fog and anti-scratch Platinum coating is supplied as standard with the new All Inclusive Prescription Pack but is also available on Baxter, Rush+, Silium+, Slam+, Contour, Cobra, IRI-s, B808 plus Atom, Coverall, Tracker, Pilot, Ultim8, Masterall and Backdraft goggles. It also guarantees greater safety, reliability and comfort. This permanent coating on both sides of the lens gives them a high resistance to scratching, to the most aggressive chemicals and prevents fogging. In all circumstances and at all times the Platinum lens innovation guarantees your eyes improved protection. Suitable for gents and ladies, all prescription types, all lens types, all markets sectors and all occupations from aeronautical engineers to zoo keepers! Contact Bolle Safety today to learn more about this simple and easy system and ensure you and your employees can see clearly at all times and in all situations. 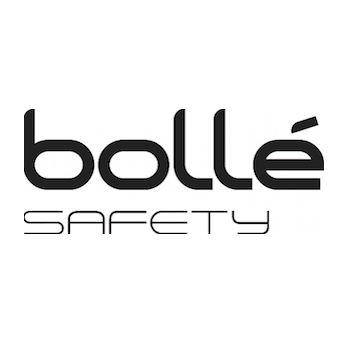 FOR ALL THE LATEST INFORMATION, NEWS, IMAGES, VIDEOS AND DOCUMENTS FROM BOLLÉ SAFETY PLEASE CLICK HERE.